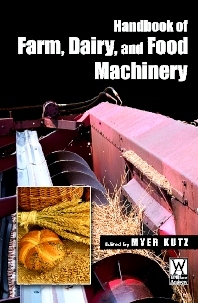 Indispensable for food, chemical, mechanical, and packaging engineers, Handbook of Farm, Dairy, and Food Machinery covers in one comprehensive volume fundamental food engineering principles in the design of food industry machinery. The handbook provides broad, yet technically detailed coverage of food safety, regulations, product processing systems, packaging, facilities, waste management, and machinery design topics in a ôfarm to the forkö organization. The 22 chapters are contributed by leading experts worldwide with numerous illustrations, tables, and references. The book includes the new USDA regulations for ôcertified organicö processing, as well as state-of-the-art technologies for equipment both on the farm and in the plant. Food, chemical, mechanical, and packaging engineers directly or indirectly involved with the food industry.